Welcome to the 37th Edition of the Festival of the Trees. When we think about the chestnut blight or sudden oak disease or the woolly adelgid, small organisms that fall great forests, we are reminded of the fragility of trees. Although that is important to remember, trees can also offer up great examples of resilience, of resolve, of determination and the will to live. This month’s issues focuses on those examples. 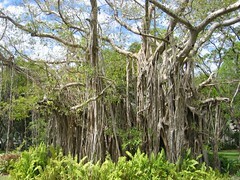 The Survivor Trees. 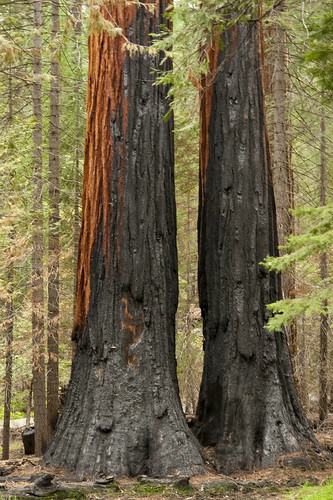 The Apple Lady at the Daily Apple shares facts about the resilient Sequoia. Her photographs include impressive shots of trees that were hollowed out and scarred by fire, but continue to grow. 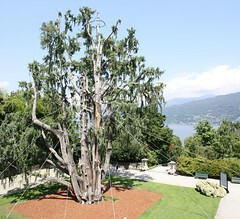 (Photo courtesy of Luca Zappacosta) On their travel blog Jon and Rich describe their visit to Northern Italy’s Isola Madre and seeing a 200 year old Kashmir Cypress tree. In 2005, the outlook did not look good for this tree. A rare tornado hit the island and uprooted more than 200 trees, this one included. An international team of specialists leapt into action. A helicopter carried a crane to the island and the tree was lifted back up. It survives today. The Borden Oak is no stranger to natural disaster. It survived the Great Galvenston Storm of 1900 and more recently, Hurricane Ike. Many trees in Galvenston, Texas weren’t as lucky. This month the Houston Chronicle reports that thousands of dead and dying trees will need to be removed. Cindi Barker of Southern Exposures shares a happy ending in Houston– a beautiful live oak that made it through Ike. Concerned about your trees? 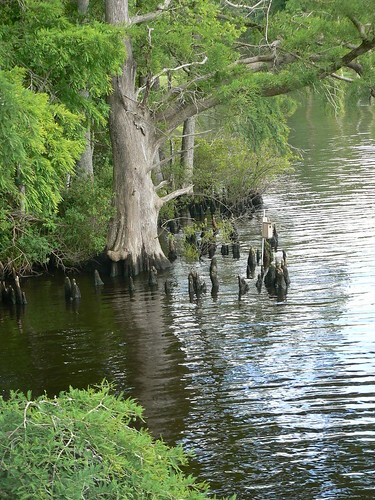 Pam Brown at Planting Pinellas writes about how to protect trees during hurricane season. (Photo by 10b travelling) Mike Putnam of Pacific Coast Stock posted about a hike in the proposed Badlands Wilderness Area in Oregon. He shares stunning pictures of old growth juniper trees. 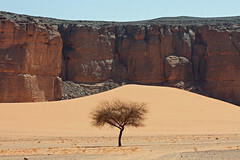 Some of the trees have thrived in the desert climate for over 1000 years. When talking about deserts, Bahrain’s 400 year old Tree of Life warrants noting. It survives isolated in the desert with no known water source. 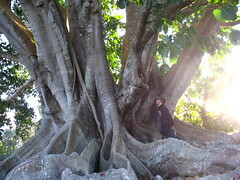 (Photo by leeleblanc) On the opposite side of the spectrum, Life in Bonita Springs, writes about the 113 year Mysore Fig Tree. Living in Florida, the tree has endured multiple hurricanes and has the scars to show it. But cold weather was the tree’s real test. 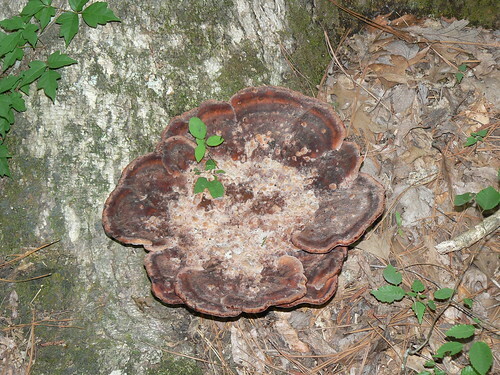 In the 1980s, the unusually low temperatures caused significant damage to the tree. It was believed to be dead, but revived. A few more hurricanes later, the tree is still going strong– 93′ tall, 130′ crown, 40′ circumference. (Photo by jessicafm) Sometimes a tree’s challenge comes in small packages. Utah Savage posts about a fond childhood tree that happens to be Salt Lake Valley’s largest green ash tree. It survives thanks to aggressive treatment for the green ash borer. Rock Paper Lizard shares a Western Hemlock Tree that has attracted the attention of sapsuckers. 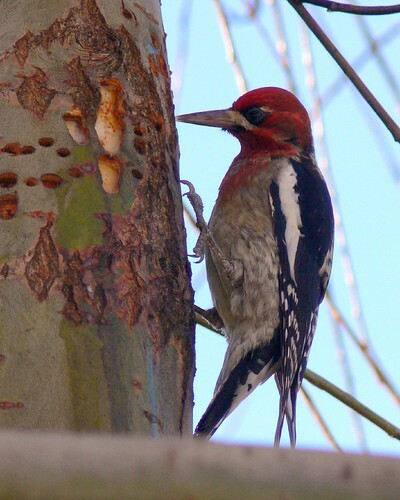 Meanwhile, A Birder’s Report contains lovely photos of woodpeckers and a hummingbird feeding off an oak tree. 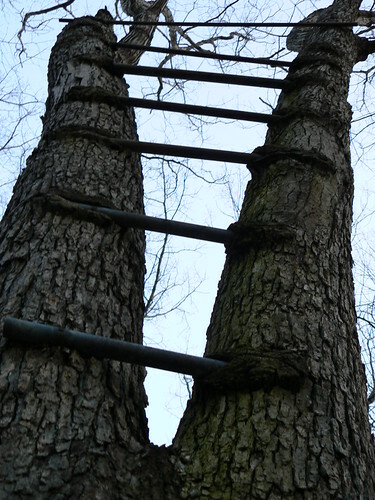 If you hope to help your own trees survive the affection of sapsuckers, Steve Nix at the About.com Forestry blog shares some tips. Some trees grow in hard to reach places and by the luck of their residence, they escaped mankind. Namely, the logging industry. 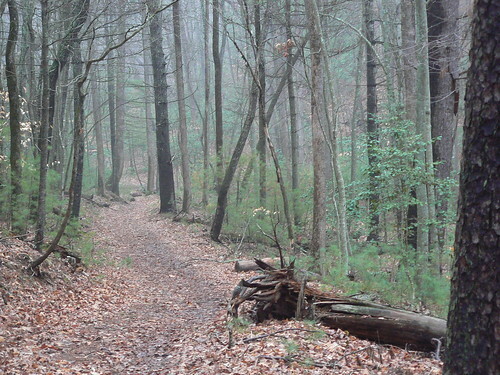 Saratoga woods and waterways speculates that is the case with the old growth hemlocks in Mianus River Gorge outside Bedford, New York. On the other hand, some trees have to face mankind head on. Man and the Tree shares a collection of Drive-Thru Trees. 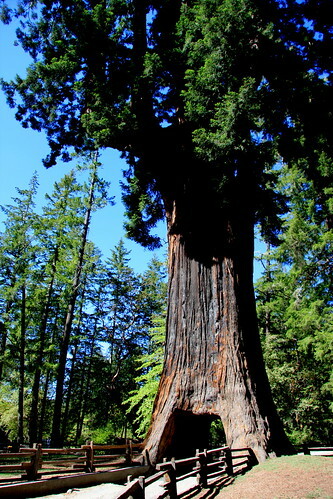 His collection includes the 315 foot Chandelier Tree. Roughly seventy years ago it had a tunnel carved in it. It is very much alive today. (Image by cathairstudios) Next month’s host, Trees, Plants and More, shares the hardships of two city trees in India. First off, a queen’s crepe myrtle blooms between wires and cables. And then, an “urban banyan”, possibly with manicured roots, adjusts to life with neighbors. If you didn’t catch it in Festival #29, be sure to check out local ecologist‘s post on the urban trees restoration in Sarajevo. The damage from the atomic bomb to Hiroshima and Nagasaki was extensive, but the very next spring, trees budded. This month on TGAW, I covered the stories of two A-bomb survivors– the Phoenix Trees in Hiroshima and the Sanno Shrine Camphor Trees in Nagasaki. Hiroshi Sunairi of Tree Project has organized a more extensive Slideshow of Hibaku (A-Bombed) Trees in Hiroshima. Today, progeny of the A-bomb survivors are planted all over the world. Hiroshi Sunairi’s Tree Project is a blog dedicated to following the stories and the progress of those seedlings (You can also request seeds of your own!). 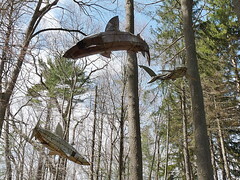 (Photo by Lorianne DiSabato) Perhaps one of the least publicized threats to trees are sharks. That’s rights – sharks. I didn’t think there were many trees that would have to face a shark attack, but Lorianne at Hoarded Ordinaries shares some compelling evidence. Next month’s Festival of the Trees will appear at the India-based blog Trees, Plants and more. Send links to ringsofsilver09 [at] gmail [dot] com by the 28th of July. A special focus on summer fruit-bearing trees is planned, but all tree-related posts are welcome. I was perusing Flickr and I ran across this Creative Commons image from Kew Gardens in London. 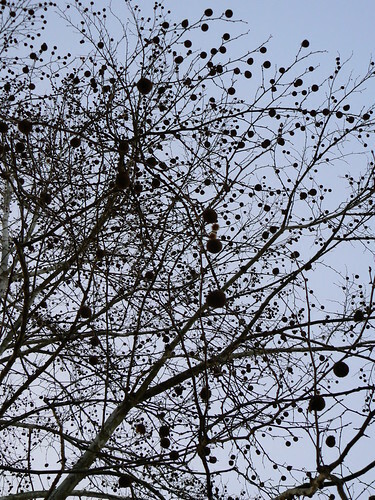 Can you identify the tree? 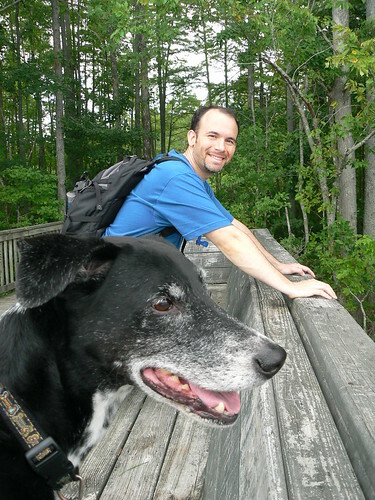 For my 34th Birthday last March, Ryan Somma and I took the two dogs to Fairy Stone State Park. 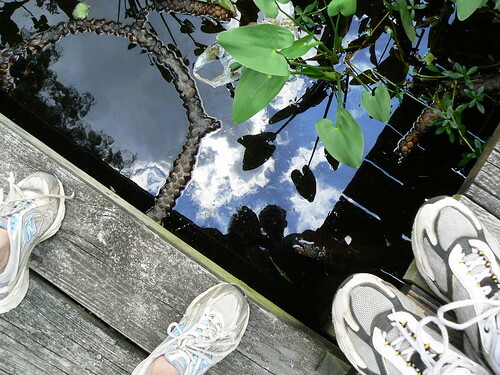 We stayed in a cozy lake-side cabin for two nights, attending the planting of a blight resistant American Chestnut tree and managed to squeeze in three separate hikes during our short stay. 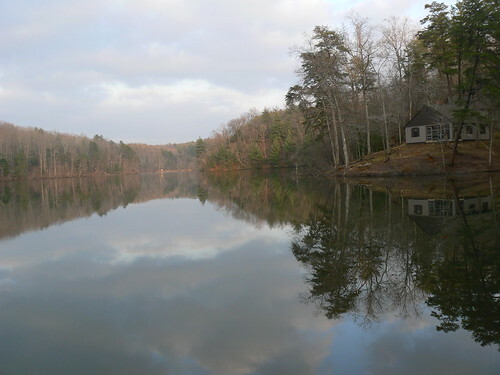 The cabins at Fairystone are dog-friendly, are well furnished, have full kitchens and most importantly, include a fireplace. We stayed in Cabin 4, near the lake. 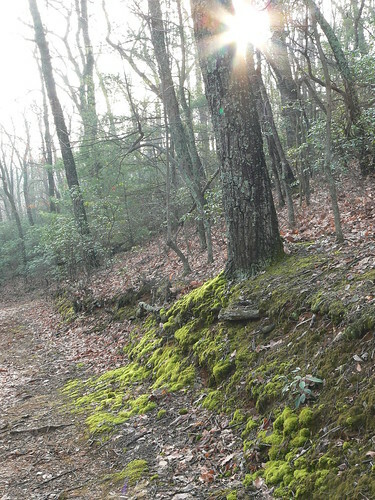 Mid March is splendid time to be at Fairy Stone State Park. During the day, it is a comfortable temperature for outings and at night it is cold enough to really appreciate that aforementioned fireplace. Since it was the middle of the week, only a handful of the other cabins were occupied. Ryan and I practically had the whole park to ourselves! Did we pay a premium for that seclusion? No! We got off-season rates! And FYI- Don’t worry about late check in. We arrived late on a Tuesday night. The park rangers left everything we needed to get situated at the park office. 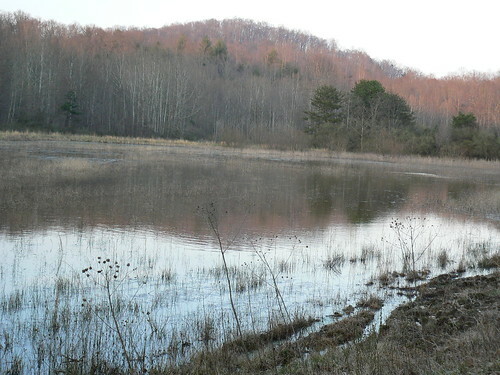 Wednesday March 18th, we woke up at 5:30 AM to squeeze in a hike before the American Chestnut Planting at Philpott Lake. 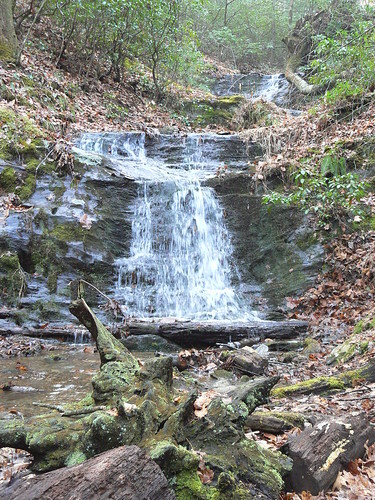 Starting at the Lakeshore Trail, we hiked 0.25 miles on Turkey Ridge to the Orange-Blazed Little Mountain Falls Trail. That made a 3.40 mile loop back to Turkey Ridge and we had another 0.33 miles back to the car. 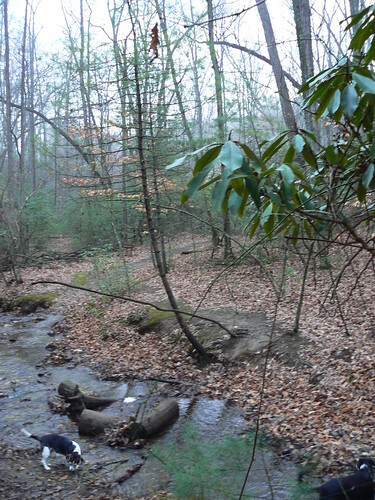 The Fairy Stone State Park Stuart’s Knob and Little Mountain Trail Systems Guide had the Little Mountain Falls Trail classified as “Strenuous”. It wasn’t. We found it to be quite flat and easy. But beautiful! The trail took us by the Little Mountain Falls. We were accompanied by the morning mist which opened up just as we approached the first of two scenic overlooks. After our Little Mountain Falls hike, we showered and headed out to the American Chestnut Planting at Philpott Lake. When we returned, I partook in another birthday tradition. 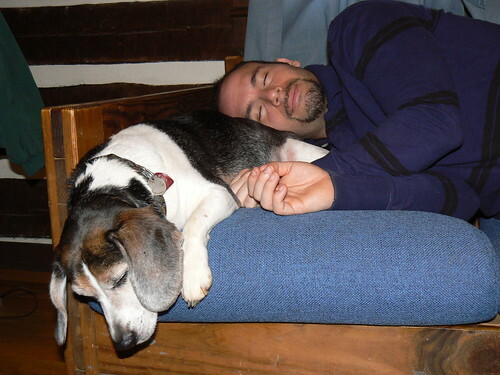 The birthday nap. It was wonderful. After the birthday nap, we headed out again! This time we went across the lake to the Stuart Knob Trail System. This was more like hiking! 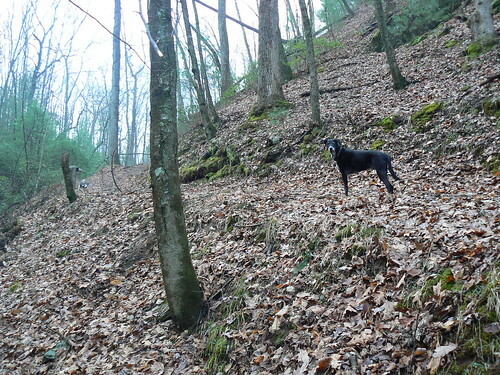 The hills were steeper than the “strenuous” trail and our heart rated definitely increased. 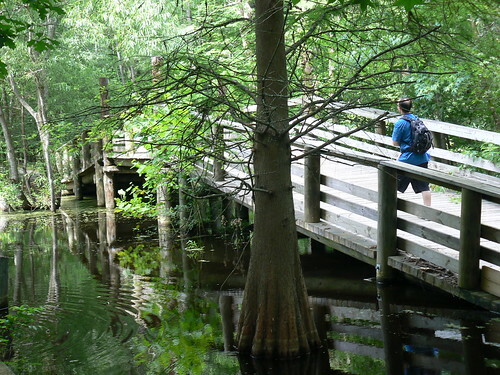 There are a number of trails to choose from. 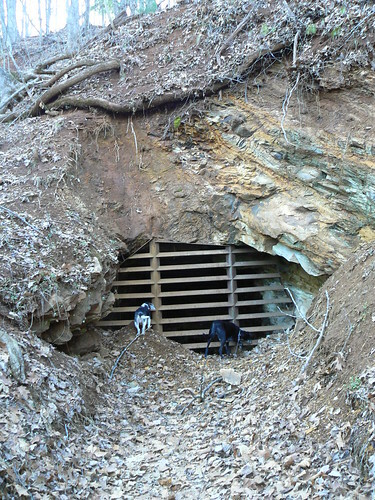 We hiked the Iron Mine Trail to check out the historic mining sites. 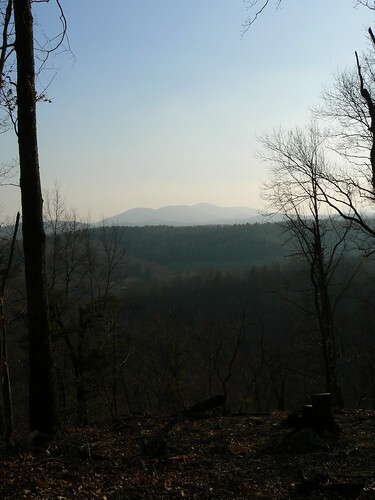 Then we took the Upper Stuart’s Knob and Lower Stuart’s Knob Trails to the top to take in a view of Bull Mountain. Bull Mountain was beautiful– but more stunning was the view of Fairystone Lake on the way up. At the top of Stuart’s Knob, we read a sign advertising more hiking at the Fairy Stone Wildlife Management Farm. We still had some daylight left, so we stopped and walked on the white and red nature trails. It’s quite beautiful and very diverse! 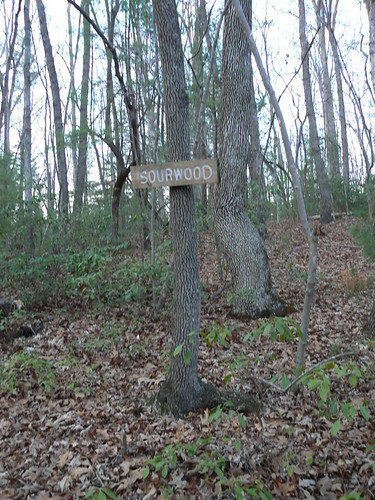 It took us through marshlands full of water fowl and spring peepers and then we traveled through a forest where kind souls had labeled the different species of tree (I got to learn Autumn Olive and Sourwood!). 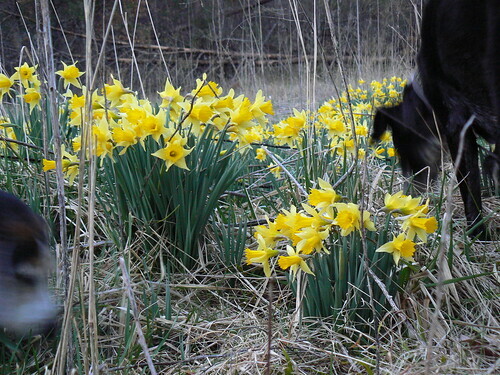 Finally as darkness set in (a little too quickly for my comfort), we ran across a surprise field of daffodils. Although our cabin log had numerous reports of a three-legged squirrel, we did not get to see that little guy. 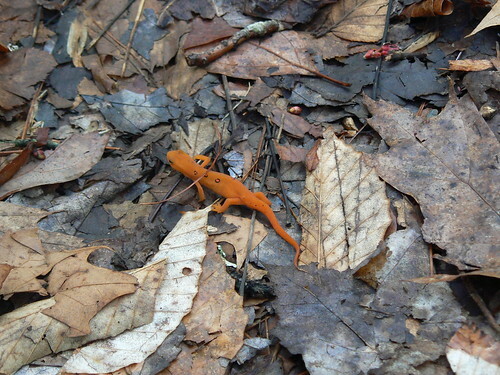 But we did get to see a Red Eft on the Little Mountain Falls Trail. We got to see both bats and a heron at dusk. 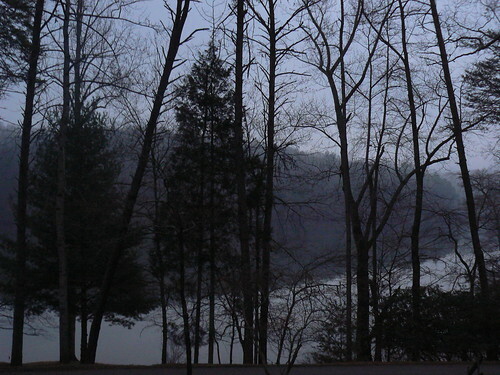 Finally, we were serenaded quite loudly by Spring Peepers. The park is known for its “fairystones”, its cross shaped rocks. Supposedly they were created when local fairies heard about Jesus’ death. All the fairies were so sad, they started to cry and all their tears formed little cross rocks. Ryan and I were both under the impression that all the stones had already been scavenged away by tourists, so we didn’t bother to go “Fairystone Hunting”. It wasn’t until we read the cabin log that we discovered we were the only morons who did not find a fairystone. 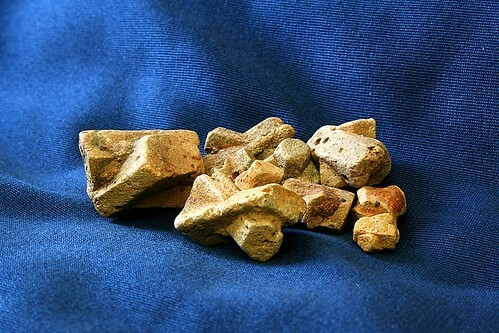 Luckily all the local stores just so happen to sell fairystones for the unlucky, the lazy, or in our case, the oblivious. Ryan and I may not have found any fairystones, but we did spot what I contend is a more unique oddity. We found this tree at the Fairystone Wildlife Management Farm. There are thousands and thousands of Fairystones in the area, but I venture to bet there are very few trees like this period. 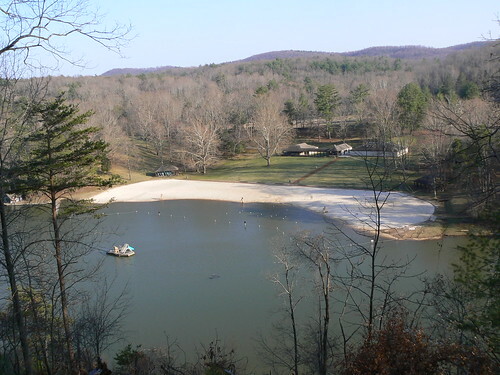 With the beautiful scenery, all the available activities and that captivating fireplace, I would definitely give Fairy Stone State Park a high recommendation, particularly to couples looking for a getaway. If you doubt how romantic the park could be, just flip through one of the cabin logs. In our cabin alone, there were a number of couples who came to celebrate birthdays and anniversaries, two sets of first time parents-to-be out for one last offspring-free adventure and there were at least three couples who got engaged during their stay! By Jerrold Last Call for Survivor Tree Links! This blog is hosting the Festival of the Trees on July 1st. Please submit any related posts, articles or photos about resilient, determined or inspirational trees! 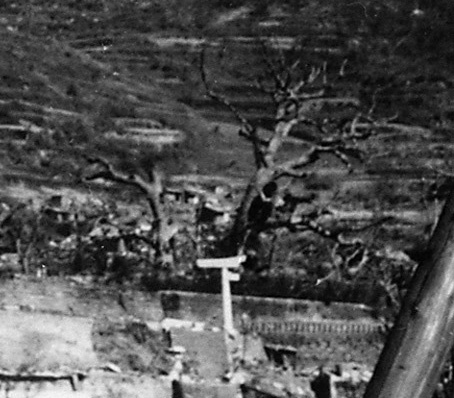 Two months after the atomic bombing, Lieutenant R.J. Battersby photographed Nagasaki. He captured a non-denominational devastation. Cathedrals and shrines were dealt identical fates. And no discrimination was given between the creations of mankind and the creations of Mother Earth. U.S. Strategic Bombing Survey: The Effects of the Atomic Bombings of Hiroshima and Nagasaki, June 19, 1946. Amazingly, some structures in the first kilometer radius remained standing. Nagasaki’s Sanno Shrine, only 800 meters from the hypocenter, had three survivors. First, one of the shrine’s torii gates remained. Well, part of it, anyway. 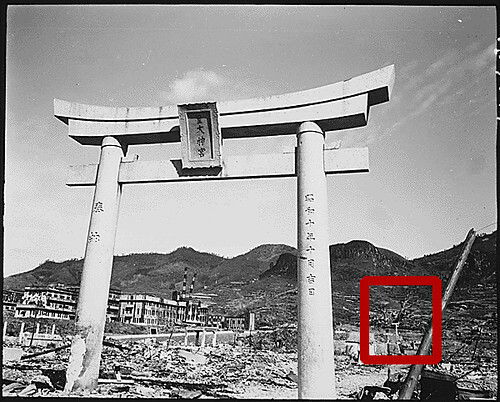 After the blast, the torii balanced on one leg. The other leg was flattened, amputated, with the rest of the shrine. Nearby, two 500 year old camphor trees. Like the torii, they weren’t fully in tact. Their upper portions were ripped away as were many of their branches and all of their leaves. Today, all three Sanno Shinto Shrine survivors are still standing. 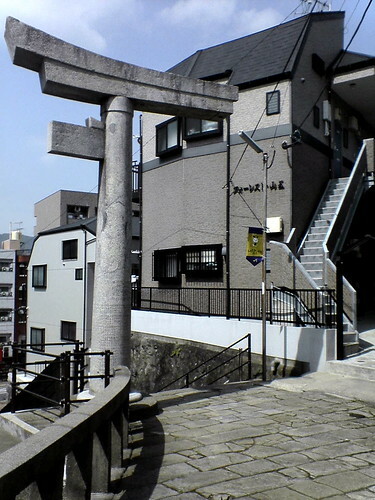 When the neighborhood rebuilt and more modern buildings were constructed, the One-Legged Torii was preserved as a reminder of the forces that once tore through the city. 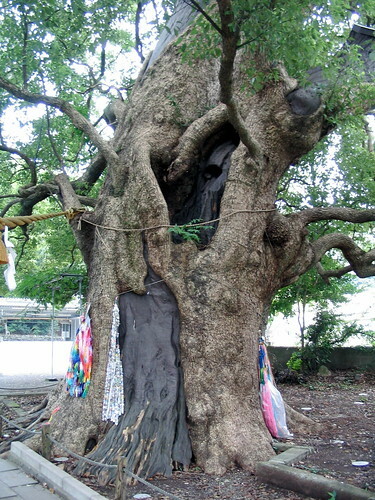 The two trees were once two of the largest camphor trees in the entire city. Topped by the blast, today they are only 10 meters tall. Height, however, does not equal vitality. As the tree’s leafed canopies can testify to– the trees are flourishing. In 1945, the trees were symbols of hope and a new beginning. Today, they contribute to another message. The trees recovered, and seedlings were sent far and wide by children wishing for peace. These second-generation trees are now growing healthily at schools and in towns throughout Japan. Over time, no matter what ill winds may blow, we shall never relinquish our commitment to a future that is free from nuclear weapons. 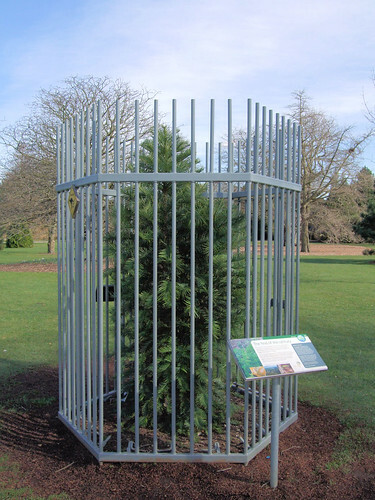 One of the second generation trees resides in the Wellington Peace Garden in New Zealand. “It is a testament to the hope that peace can triumph over war,” Wellington Mayor Kerry Prendergast stated in 2005. Back in Nagasaki, the original camphor trees and the One-Legged Torii bear the scars of traumas past and stand with determination. The creations of mankind and the creations of Mother Nature carry on. 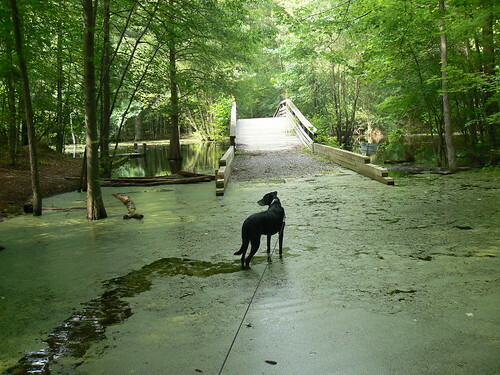 This week’s Weekly Winners come from last Sunday’s outing with the dogs. 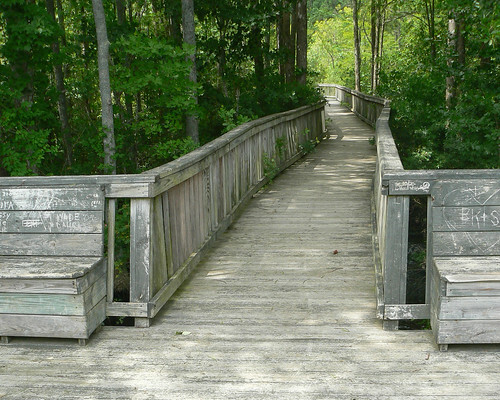 We went to the Camden Causeway Park outside of Elizabeth City, North Carolina and then the Northwest River Park in Chesapeake, Virginia. The best part our outing, however, is not pictured. At Northwest River Park, we laid down on some picnic tables and took a nice, long, incredibly peaceful, nap. It was completely unplanned and yet a great way to recoup after a hectic week. 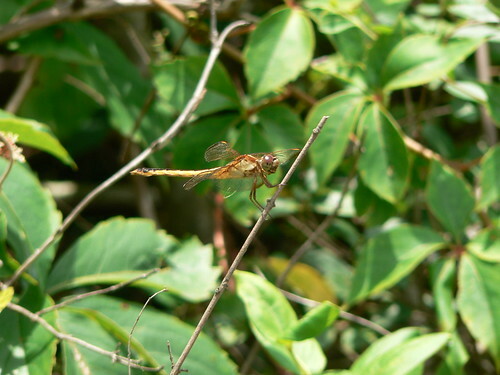 More pictures of our trip to the Camden Causeway Park and the Northwest River Park can be found on my Flickr site. Also, be sure to check out more of this week’s Weekly Winners out at Sarcastic Mom! By ebygomm Calling All Survivor Tree Links! On Wednesday, Ryan and I drove an hour and a half to meet friends for supper and then go see Transformers: Revenge of the Fallen on IMAX. Dinner was delicious. The company was great. The Transformer-inspired Slurpee we had for dessert was phenomenal. I wish I could have as such kind comments for the film. As poor as I found the movie to be, there was one scene I did thoroughly enjoy. It is an extended fight between Optimus Prime and Megatron. It is in full IMAX format and takes place in a forest. The scene captivated me every bit as much as I suspect Megan Fox’s short shorts captivated the male audience members. You see, as Prime and Megatron battled it out, the trees around them took a Ardennes-caliber beating. Trunks were ripped apart, branches were stripped, large trees were uprooted, all with robotic ease. As I watched, I realized– when the dust settled from this great bout, some of those trees would rebound. Their trunks would scar over. They’d leaf again. They’d slowly take back the cleared forest. I was watching Survivor Trees in the making! The forest trees weren’t the only ones in harm’s way throughout the film. In the excruciatingly long finale in the Egyptian desert, more trees found themselves in the middle of the action. You may hear about the unpleasant racial connotations in the film, but on the upside there were some revelations about gender. For example, did you know it’s physically impossible for attractive women to run without holding someone’s hand? Throughout the final battle Mikaela was constantly gripping someone’s hand. When it wasn’t Sam, it was Major Lennox. It may seem like she is handicapping herself, but consider this– At least she was more mobile than the trees. Perhaps Revenge of the Fallen has revealed what my Germans will be. By stevevoght Calling All Survivor Tree Links! So far, the Survivor Tree series has highlighted trees that recovered from bombings– Hiroshima and Oklahoma City. But a tree does not have to survive man-made tragedies to be impressive. It could just merely survive. Take the case of the Tree of Life (Shajarat al-Hayah), located in the Middle East’s Bahrain. With only 3% of the country’s land arable, a vast majority of the landscape is desert. The environment is harsh to say the least– extreme temperatures, no fresh water, few nutrients. A great deal of the land is barren of any vegetation at all. 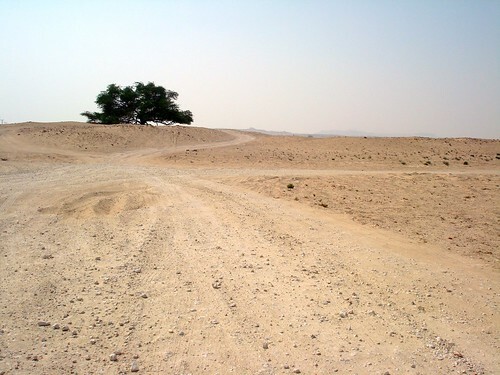 And then… in the middle of the desert… with no visible water source… stands a single tree. A 400 year old tree at that. To really appreciate the Tree of Life’s uniqueness and isolation, view it from above (Hat Tip, Ten Thousand Trees). The satellite images in Google Earth capture just how far the tree is from other vegetation and water. Tree of Life captured by GeoEye Satellites. Zoom in and out for yourself. How the tree managed to flourish for four centuries remains a mystery, particularly that pesky question about water. One thing’s for sure. It’s definitely a survivor! P.S. The Tree of Life is one of the contenders for the New 7 Wonders of Nature. You can vote for your favorite nominees through July 7.